MANY things don’t fit in the statements of the police on the Jan. 26 Megamall robbery. As of this writing, the Mandaluyong police have claimed to have “identified” two of the six suspects in the robbery. But in reality, they don’t have the two suspects’ names and addresses yet. What they have are cartographic sketches that matched the images captured by the CCTV and confirmed by the sales ladies of The Jeweler and F&C Jewelry stores. Ironically, the police were quick to tag the Martilyo (Hammer) Gang as suspects without knowing that pipe wrenches were used to smash the glass displays and that they haven’t identified by name and other personal details any of the robbers. At around 6:56 p.m. of that Saturday, the first of the six suspects entered the mall through a supermarket entrance where the security guards on duty were performing their mandatory and required bag check and frisking. Five others were seen through CCTV review to have entered the same door, seconds apart each other. However, it seems that the suspects know that the performance of duty of the guards were perfunctory, cursory and for the sake of compliance only. Only one of the six was armed, at least, with a .45 cal. pistol–based on the fact he fired two shots during the daring deed. The armed man went though the inspection, but the hand frisking guard who did not use his handheld metal detector failed to detect the gun tucked in his crotch. The guard was most likely cautious of touching the genital area. It was never known if any one else was armed since it was not evident in the CCTV records. Eight minutes after the first guy entered the supermarket doors, two guys went to Ace Hardware to buy pipe wrenches. Despite the fact that they can buy any other tools and implements, they settled for a practical and less suspicious tool for their trade. Twenty-two minutes after the purchase of the tools, the wrench-carrying members of the “Hammer Gang” went to the department store area and smashed the frail glass casings of the display counters of F&C Jewelry and The Jewelry stores. Since the smashing of glass created sharp attention-getting sound, department store security guards proceeded to the source of the noise. One of the robbers drew out his pistol but accidentally fired his first shot at a nearby display counter. His second shot was “fired to the air” as a “warning shot” and hit the ceiling. The recovered embedded slugs confirmed the caliber of the pistol. However, as most crime cases involving firearms, ballistics are good only in proving that the gun used is not licensed, therefore, there is no lead to the ownership. In just two minutes, all the robbers made good of their escape with the ensuing commotion and confusion of the weekend shoppers and mall-goers. They reportedly carted with them almost 175 pieces of gold necklaces, rings, bracelets, and earrings. Not unusual as it may be, the two stores are not giving out the estimated value of the stolen items, yet. They may still be consulting their insurers or appraisers until now. Within the first minute of the crime, the police were called in. They claimed to have arrived after two to three minutes, which is unusually fast but still late to catch the robbers. Why did the robbers get away? So how come the robbers still got away? The simplest answer is that they simply blended with the crowd who were rushing out the enclosed confines of the mall. The simpler answer is that the security forces and the police don’t know yet the real situation in the first two minutes and even if they know, they don’t have faces and details to base their apprehensions. Therefore, a quick response and arrival of the police is no big help when they do not know the situation. Locking down a big mall with tens of thousands of people in a Saturday while waiting for incident details is not an easy job. Engaging armed suspects with automatic weapons inside thickly populated confined spaces may most likely harm innocent people than neutralizing suspects. Such realistic situation provides any criminal or even a shoplifter the opportunity to escape being caught. How about the safety and security of mall goers? Security is different from safety, technically speaking. 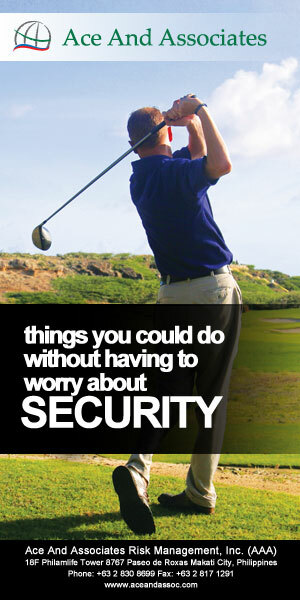 But for laymen, safety and security are interchangeable terms. It is assumed that SM Megamall building structures, driveways, and other facilities were constructed with general safety in mind. Security experts, however, noticed that holistic security concepts were not part of their building design just like 99.9 percent of buildings in the country. There are many aspects of safety and security in a building complex. Generally speaking, the security guards in SM malls, like all other security guard posts, are to provide both the security and safety requirements not only of the mall goers but of the SM employees and tenants also. The guards of the retail outlets and malls are to protect first the shoppers and mall goers. They are not to engage criminals in a shootout or to prioritize the protection of material goods above the welfare of human life. They personally undergo vetting and training while their agencies are subjected to accreditation process. The security management and standards of SM supermarket, SM department stores, Ace Hardware and the malls are different from each other. Each has different assessment of their risks and threats, standards in hiring security agencies, and use of guns. They undergo periodic audit and training but whether the auditors are independent and certified is another thing. The first and the last person shoppers see in buildings in the Philippines are the security guards who are also expecting that they and their families are always safe and secure when spending time in malls and other places. They know that they got their job as private security guards because the tax-paid public police officers are not enough. It takes only one guard not to perform his job for security systems to fail. And in this case, the culprit was that guard at the supermarket entrance.